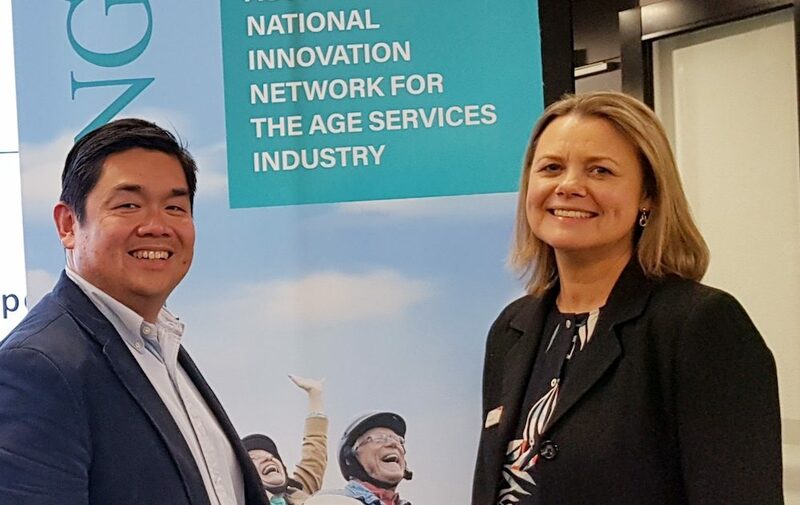 RMIT University has joined forces with innovAGEING, Australia’s first innovation network for the aged care industry, to create a knowledge alliance that will link research with product and service development in the aged care industry. “We’re excited with this partnership”, said Merlin Kong, Principal Adviser for innovAGEING. “Having consulted with industry in developing innovAGEING, there was strong interest in translating research into practice, and validating progressive models of care with research evidence. There was also interest in demand-driven design in aged care, and developing sustainable new business models” in this regard, our alliance with RMIT marks a meaningful step in addressing ongoing industry interests. This collaboration will explore the importance of design and the role of innovation in aged care, disseminate RMIT research to the industry, and collaborate on research translation and commercialisation initiatives. The partnership will also see RMIT Professor and Director of the Design and Creative Practice Platform, Larissa Hjorth, join the forthcoming innovAGEING Experts-In-Residence program. RMIT Deputy Vice-Chancellor Research and Innovation and Vice-President, Professor Calum Drummond said the University was proud to be working with innovAGEING to build links between academia and the aged care industry. “It is said that if we design well, we are designing for all ages and abilities. Designing homes, environments and services so that people can transition through stages of life is about supporting independence and socially supportive environments”, Drummond said. “Within this context of design and innovation in aged care, we are applying technology and the arts to ageing and wellbeing projects, and this has proven to be powerful in helping organisations understand the experiences of those who are often the ‘subject’ of care”. This new collaboration is not the first time that RMIT and innovAGEING have worked together. The two organisations partnered with Peak15 HealthTech in September to co-host a meet up between start-ups and the aged care industry in September, attended by approximately 159 people.